BE-LINK Bluetooth Beanie Hat and Helmet Solution With Ultra Loud 30MM Speakers! The BE-LINK Bluetooth beanie is a surround sound system with two 30MM speakers that fit nicely inside a beanie hat and allow you to listen to music on the go. 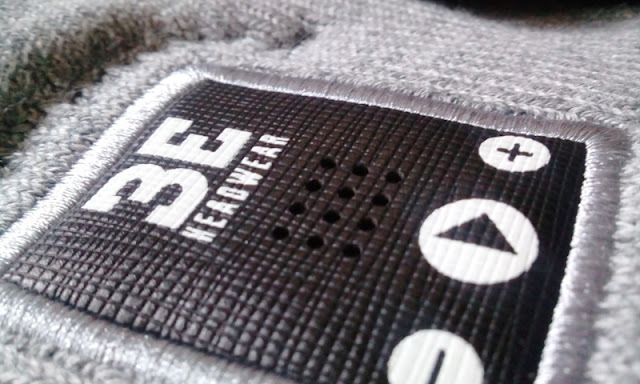 The 30MM speakers are located on either side of the beanie hat and ne of the speakers is also the control unit, which has three multi-functional buttons. The middle button with a "triangle" symbol is the Play,Pause and Answering Call button, as well as the button for pairing mode. 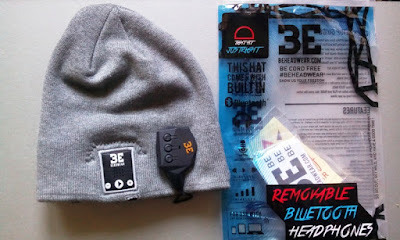 To initially pair the BE-LINK Bluetooth beanie hat, you simply press and hold the Play button for 5 seconds until the indicator LED light starts flashing red and blue (this indicates pairing mode). Once your smartphone is paired, the LED light will flash blue intermittently. The other two buttons (with arrows) on the speaker piece are the volume up/down and track-skip forward/backward buttons. To volume up/down, you press and hold. To change tracks, you quickly press once. Battery life is around 9 hours and when the battery is low, you will hear a chime. 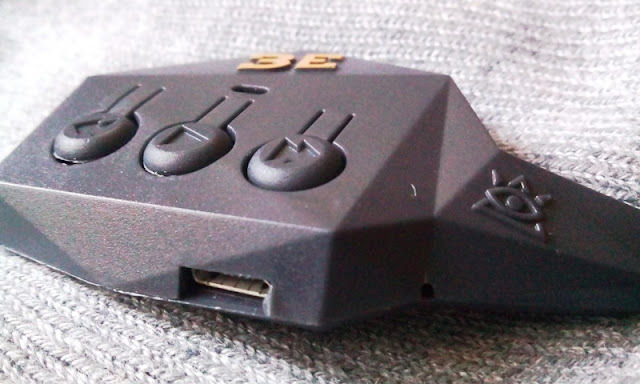 Charging the battery to full capacity takes around 2 hours and it's done by connecting the microUSB side to the unit and connecting the standard USB side to your computer or cell phone wall charger. When charging, the LED will show a solid red light. Once full charge is complete, the red light will turn off. A cool feature of the BE-LINK Bluetooth beanie hat sound system is that it comes with a step-by-step voice prompt guide, which is very convenient. 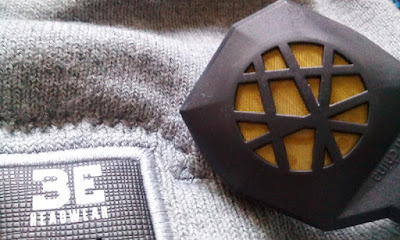 Also, you can remove the speakers out of the beanie to wash the beanie. To remove the speakers, simply find the back of the seam, flip it over to reveal the porthole and gently push out the cord of the speakers from either side of the hat. The BE-LINK sound system kit also come with cool stickers and sticky-back velcro pads for attaching the BE-LINK speaker system to a helmet.